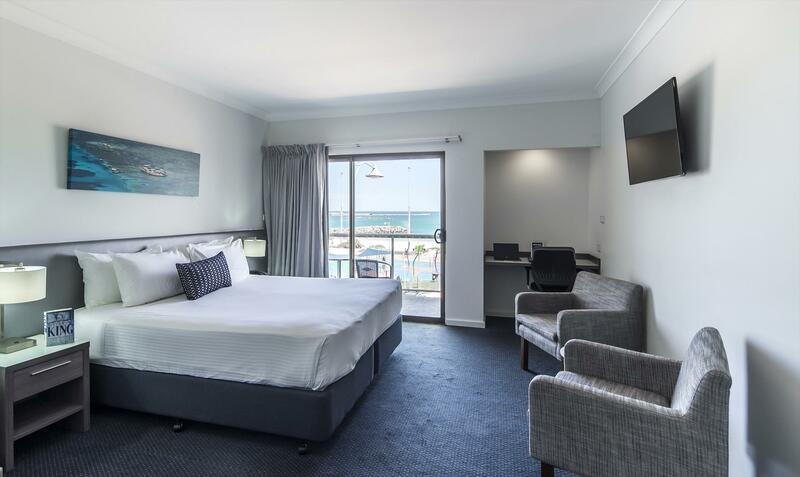 Situated on the waterfront overlooking the beautiful Champion Bay with spectacular ocean and harbour views, the Ocean Centre Hotel is conveniently located in the heart of Geraldton. 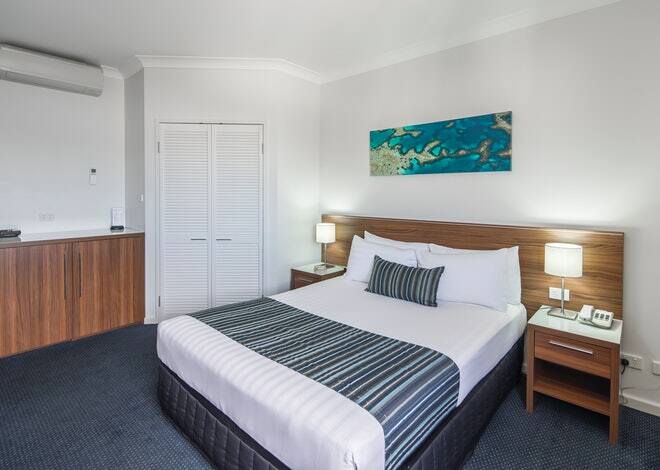 The Ocean Centre Hotel is a 4 star property and Geraldton's only true boutique hotel. 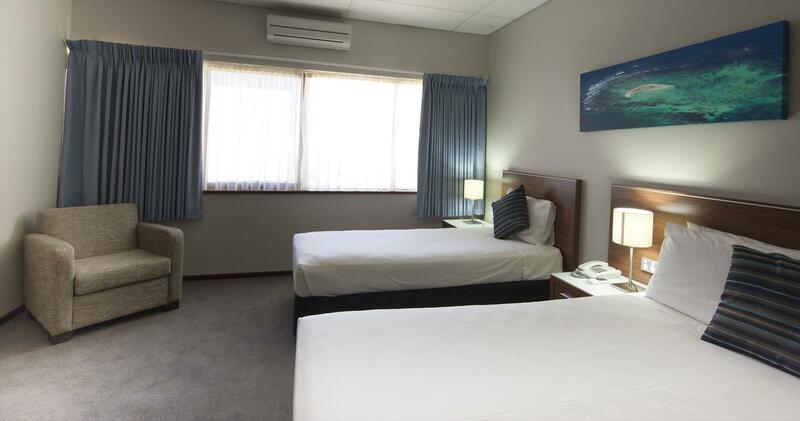 The Ocean Centre's location, in the heart of the city's CBD, provides access to the finest the city has to offer, including restaurants, shopping and entertainment areas and beautiful beaches. If arriving after 9pm, please make prior arrangement with reception regarding the night safe for key access. 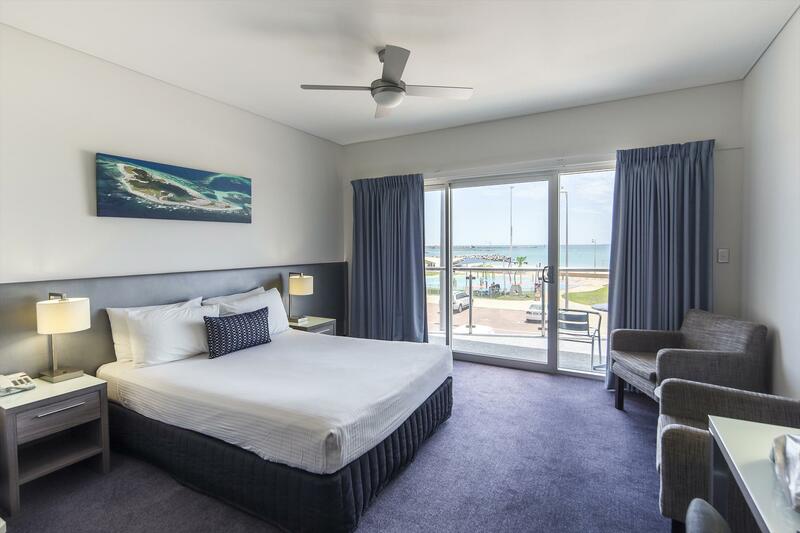 Located on the 4th floor, the stunning Luxe Ocean View Rooms enjoy panoramic ocean views and offer some of the most luxurious accommodation in Geraldton. Enjoy a private balcony area to relax. 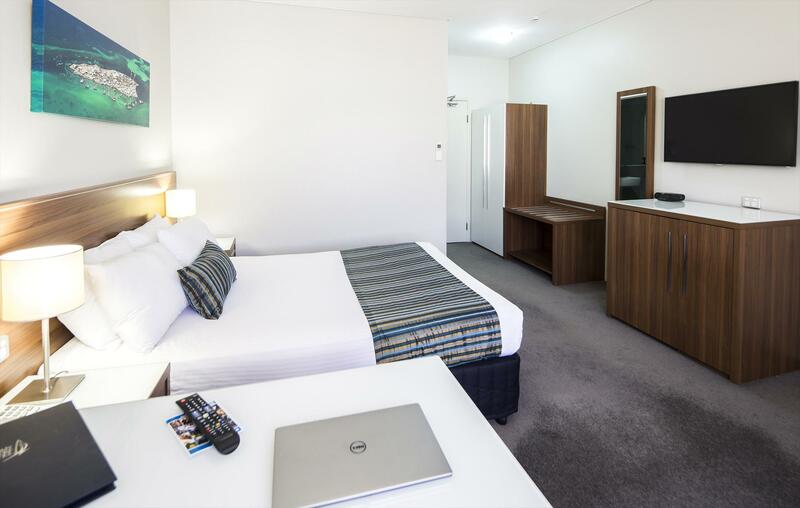 Large executive desk with high speed internet access, table and chairs, and King-size bed is provided. Breakfast available at Siroccos: A la carte menu. Cancellation with no penality is permitted up to 24 hours prior to arrival. A cancellation fee of the first nights accommodation will be charged if insufficent notice is given when cancelling a reservation.